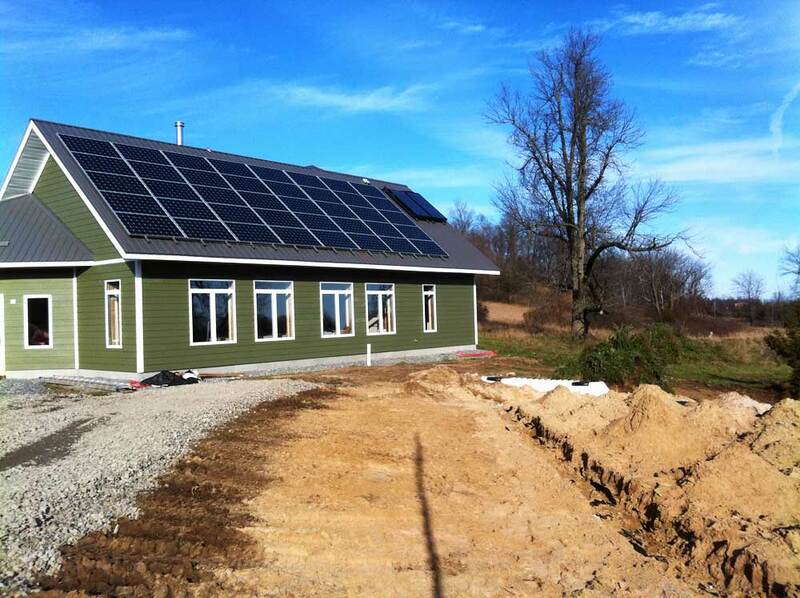 Solar Technology – Quantum Renewable Energy Inc. 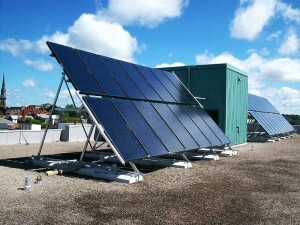 Solar technologies harness and use the energy from the sun to create power. While several different types of these technologies exist, at Quantum we focus on two because they have proven to be reliable and effective: solar photovoltaic and solar thermal water heating. 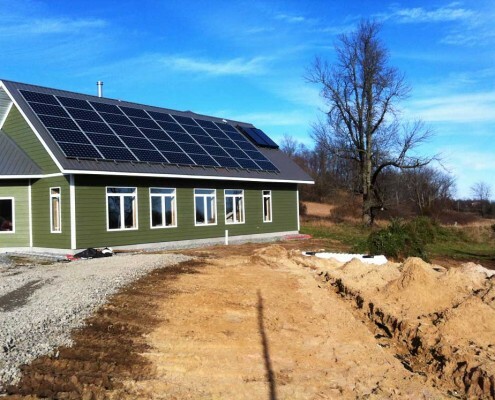 Solar photovoltaic (PV) systems work by converting the sun’s energy into DC (direct current) electricity through a process known as the PV effect. This DC energy can then be used to charge batteries, in an off-grid application, or go directly into a grid-tied inverter to produce AC power that feeds into the grid. 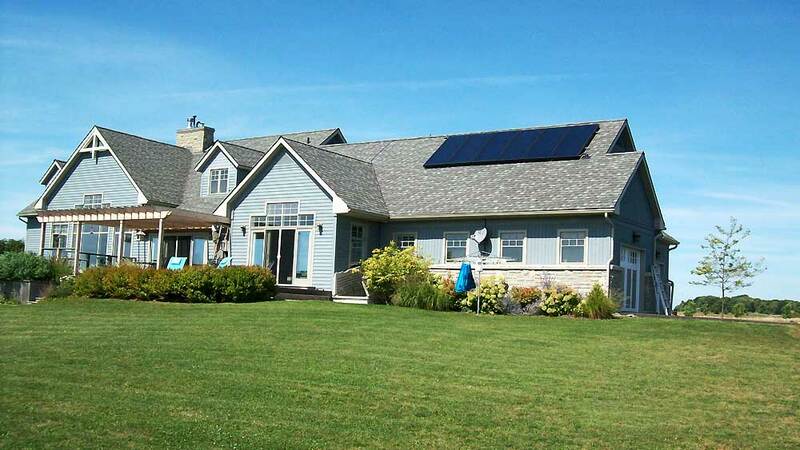 Most of our systems are either grid connected in a net metered arrangement, off-grid systems for homes, cottages, and boats. Although there are a variety of solar thermal applications, the most cost effective type is a solar domestic hot water heater which preheats the water used for your home’s hot water needs. A typical four-person household usually requires a 2 panel flat plate system. The more hot water used, the better the payback, therefore large scale commercial systems have the best economics. 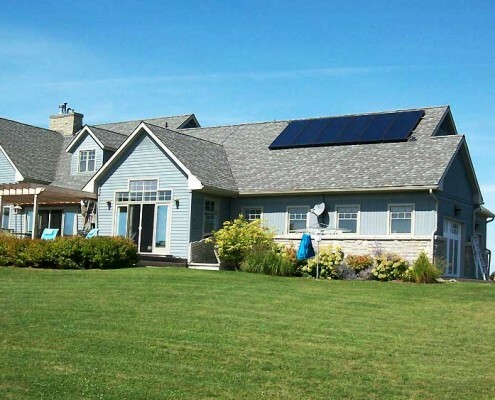 If you want to learn more about solar technology and its benefits, there are several links listed below to help expand your knowledge.